Shopsmith Edition Incra TS-LS Positioning Fence Enjoy Matchless Versatility, Ease-of-use & Precision to .001"
Developed specifically for Shopsmith by the folks who manufacture the renowned Incra brand of power tool fence systems and fixtures, Shopsmith now brings more versatility, accuracy and repeatability to your Mark 7 or Mark V than you ever imagined. With the micro-adjustable TS-LS fence, you get machine shop accuracy, guaranteed repeatability and simple installation. Continuous Micro-Positioning with Audible Detent Every 1/1000"
Thanks to a special arrangement with Taylor Design Group, Inc., manufacturer of the renowned Incra brand of power tool fence systems and fixtures, Shopsmith now brings even more versatility, accuracy and repeatability to your Mark 7 or Mark V than you ever dreamed possible! 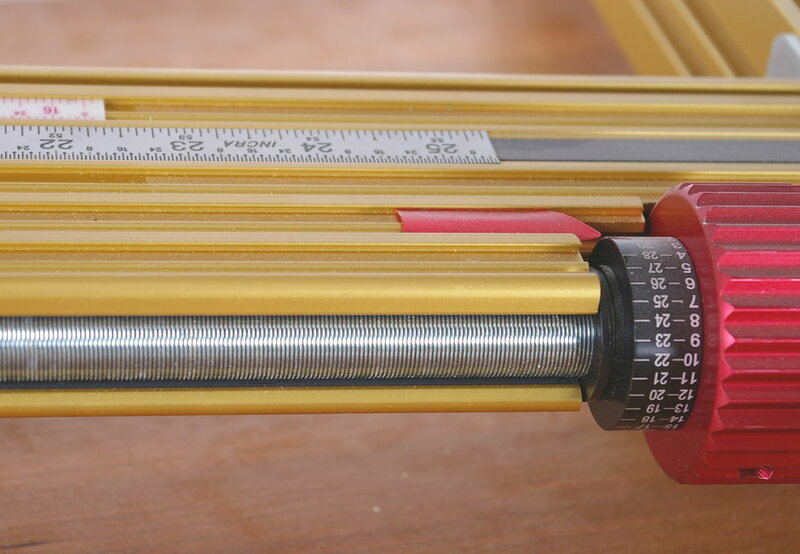 The micro-adjustable TS-LS Positioning Fence offers machine shop accuracy, guaranteed perfect repeatability, exceptional strength and quick, simple installation. Install it on your Mark 7 or Mark V in about 15 minutes, then remove or replace it in seconds. 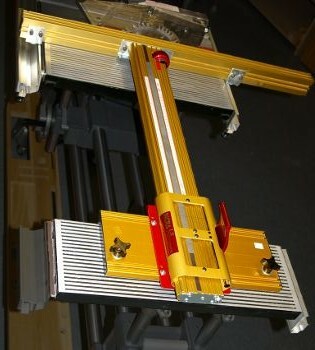 It's an amazing accessory for ensuring absolute precision for sawing, dadoing, molding and routing operations. With this system on your team, you'll build your projects faster and virtually eliminate measurement errors. 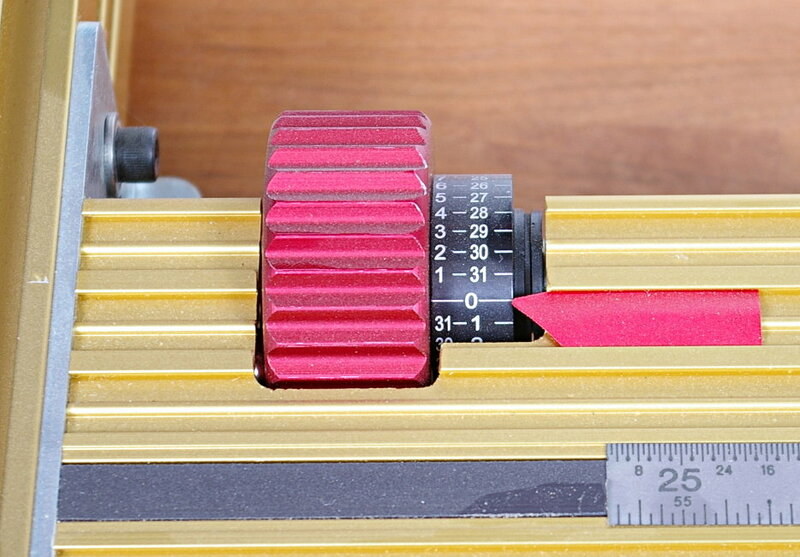 Just flip the quick action positioning clamp to slide the fence arm along its full length precision lead screw for instant positioning to 1/32". Then, twist the micro-adjustment knob to zero-in to within just .001" ! Change set-ups, then return to your previous settings with lightning speed and no repeatability errors ! Delivers Machine Shop Accuracy with Instant Adjustments to 1/32", Plus Micro-Adjustments down to an amazing .001"
The 36-inch Long Fence Remains Perfectly Parallel with Blade - it shifts off-center for additional infeed or outfeed support - and includes T-Slots for attaching auxiliary shop-made faces, etc. Includes: Incra TS-LS System • Comprehensive Owner's Manual with detailed set-up and operating instructions and • 40-minute DVD Set-up and Operation Video. 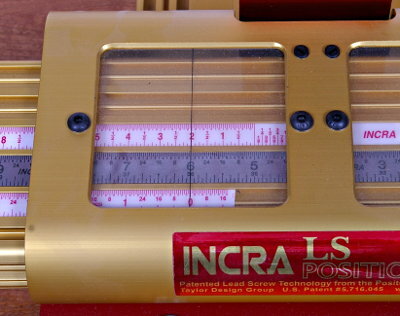 Note: 5 ft. connecting tubes (521942) are required to use the Incra TS-LS Fence System and are not included. 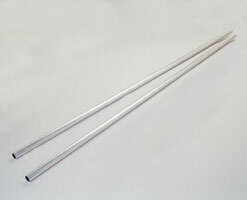 If you do not already have the 5 ft. connecting tubes, you may purchase them below. 5-foot connector tubes are required to use the Incra TS-LS Fence System. They also increase the outboard support when ripping large panels or cross-cutting long boards. Get all the added support you need for sawing, drilling, sanding, shaping or performing virtually any operation with extra large or long workpieces. We offer an installation kit (foot, drill bit, tap, tap wrench) or if you prefer you may purchase a pre-drilled table (Mark V Model 505 requires purchase of the pre-drilled table).